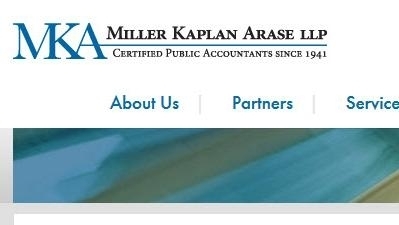 Miller Kaplan is one of Los Angeles’ Top 10 accounting firms, founded in 1941. A full service certified public accounting firm, we have a wide range of clients coming from a wide range of business backgrounds. We provide high end accounting, auditing, business management, tax and advisory engagements to a broad range of clients including tax exempt organizations, high net worth individuals and various other industries. Startups, mid-market and closely held companies, professional service firms or Fortune 500 companies, we help business organizations of all sizes and operations. We provide our impeccable accounting services to a wide range of business sectors including real estate, technology, retail, education, apparel, healthcare, manufacturing and distribution, media, entertainment and non-profit organizations. Recognizing Miller Kaplan’s strong technical competency, specialized industry knowledge, industry specific expertise and strong commitment to client service, Accounting Today has listed us as one of the ‘Top 100 Accounting Firms in US’. While LA Business Journal has named us one of the ‘Top 10 Accounting Firms in LA’, we have also received first place ratings from San Fernando Valley Business Journal. We believe our expertise, reliability, efficiency and personalized service are the reasons why Miller Kaplan is recognized for its growth and seen as a trusted CPA firm in LA.